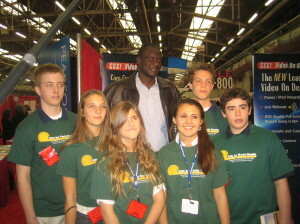 · Kids for World Health was founded and defined by the voice of students. · KFWH provides the opportunity for students to tangibly impact the world powerfully and positively, giving understanding to the impact of action and voice. · Kids for World Health uses fundraising as an empowerment tool to help others and to spread their mission. · Students participate in decision-making with regard to fundraising and organizational policy and structure with the help of their advisors. 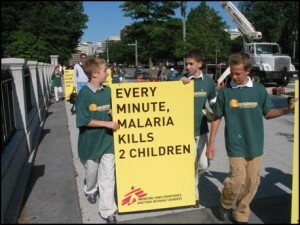 · Kids for World Health models the educational examples of student engagement and student voice. · Kids for World Health provides a network for interaction among students, doctors, villagers, health care experts, and educators across the US and the world to support a common mission. · KFWH provides an opportunity for children to develop a social conscience and to communicate this passion. · KFWH models the behaviors of human respect, equality, and service both locally and globally. · KFWH provides opportunities for chapters to increase students’ comprehension of the power of cooperation and coordination and its possibilities for making a meaningful impact on the world.